Changes to the longstanding Rockefeller Laws that ultimately took effect in 2009 have had a major impact on the legal options available to people charged with simple possession and other “lower-level” drug crimes. However, it is a critical mistake for anyone accused of criminal sale of a controlled substance, intent to distribute, drug trafficking or manufacture to think the outcome of his or her case will not depend on the skill of defense counsel. 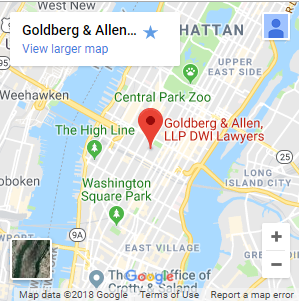 At Goldberg & Allen, LLP, we have the proven capability to get results for our clients in complex, high-stakes drug cases. Our two veteran trial attorneys have many decades of negotiating experience and in-depth knowledge of state and federal courts. 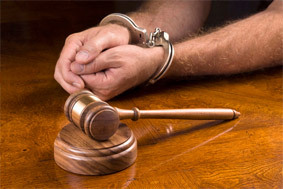 To consult us about your drug trafficking case, call or email our firm today. Whether you are facing federal or state charges involving marijuana, cocaine, methamphetamine or some other controlled substance, we are prepared to handle your case with focus and dedication. Our track record in trials and plea bargains for accused drug offenders is strong. State and federal drug laws remain extremely punitive and many-layered. The right defense approach for you will depend on many circumstances, and you can count on a New York City drug trafficking lawyer at our firm to explore them all on your behalf. Our decades of experience extend across the spectrum of drug cases — and to complex cases involving other charges, such as conspiracy, enterprise corruption, money laundering and weapons crimes. If we believe the case against you is tight and powerful, we will tell you just that. If we see opportunities to attack the prosecution’s case, we know how to pursue them and win. When it comes to matters of law in drug cases — such as the legality of the search and seizure — we have unique knowledge, experience and strength. It may be enough to say that, as former prosecutors at the level of First Deputy Bureau Chief, we trained other prosecutors and police in these areas for years. To talk through your situation with a proven, knowledgeable drug crime defense lawyer, contact our midtown Manhattan law firm now.